A simple photo blog of the Grand Opening of The Durham, NC GOP Victory Center. Come by and see us at 3600 North Duke Street, Suite 19 in Durham, NC. This is in North Duke Mall on the Roxboro Road side. Just up from Ole NC Barbeque. Respectfully submitted by SilenceDogood2010 this Twenty Fifth Day of July in the Year of our Lord, Two Thousand Twelve. (NaturalNews) In the aftermath of the Aurora, Colorado Batman movie theater shooting, a surveillance video has surfaced that shows the simple, obvious answer to the question on everybody’s mind: How do we stop a massacre? • Is deployed in as little as FIVE seconds. • Makes bad guys flee immediately. • Is easy to learn. • Functions at the local level. • Does not require control or intervention by the United Nations or any government entity. Respectfully submitted by SilenceDogood2010 this Twenty Third Day of July in the Year of Our Lord, Two Thousand Twelve. A PHOTO BLOG of the NC GOP Victory Center located in Durham, NC. Please join us on Tuesday, July 24, 2012 — IN DURHAM —- For our Grand Opening. The majority of folks will be there between 5 & 8 PM, but feel free to stop by anytime during the day to say hello. Use the link for more information. Respectfully submitted by SilenceDogood2010 this Twenty Second Day of July in the Year of our Lord, Two Thousand Twelve. Folks, let me introduce you to Ms. Anita Moncrief. 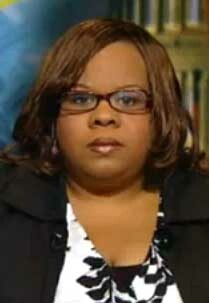 Anita started working for ‘ACORN’ sometime prior to the 2004 elections and was tasked with uncovering Voter fraud. She started doing all her homework and lo & behold, she finds “ISSUES”. Please take the approximately 18 minutes to watch these 2 videos. Respectfully submitted by SilenceDogood2010 this Nineteenth Day of July in the Year of our Lord, Two Thousand Twelve. WRAL TV5 has decided to post a database of individuals that hold Concealed Carry Permits in NC. Now, YES, that is PUBLIC INFORMATION BUT—– To get that information, you must request it, in writing, through the North Carolina State Bureau of Investigation. Grass Roots North Carolina, a gun advocacy group, has released a little “TO DO” list. The info below describes in detail what is requested. The ball is in YOUR COURT now. 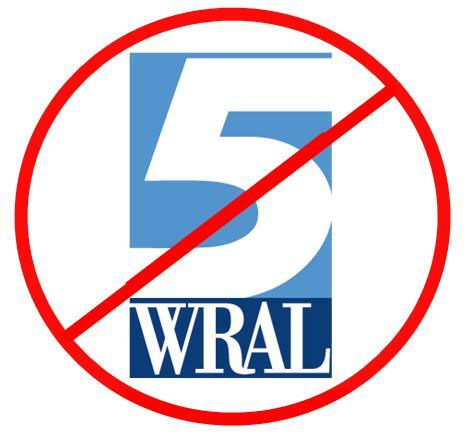 Say NO to WRAL and ALL of their Advertisers. On Thursday, WRAL-TV published an article on its site entitled “Rural areas lead in concealed weapons permit rates.” Unfortunately, within the article a section entitled “Find concealed carry permit-holders in your area” contained a database of permit-holders searchable by address, potentially revealing to criminals the homes from which firearms may be stolen. 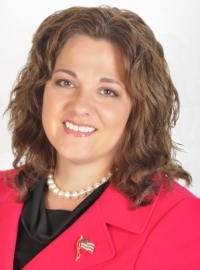 WRAL web editor Kelly Hinchcliffe responded to complaints by insisting that permit information is public record, ignoring the fact that obtaining it requires a written request to the State Bureau of Investigation. Moreover, although the names of permit-holders were not disclosed, the partial address information (including apartment numbers), particularly on small streets, makes it possible for criminals to target specific homes for theft. A lengthy conversation with WRAL General Manager Steve Hammel, while pleasant, produced no significant movement on the part of the station. Their position is that they have sufficiently de-identified the address information. When it was noted that street numbers had appeared initially for some records, he noted that it had been corrected by Friday. He also said they would “look at” trailing apartment numbers which are still part of the addresses. But the bottom line is that the station refuses to pull the link. It has been longstanding policy at GRNC that any media attempt to invade the privacy of either handgun purchase permit-holders or concealed handgun permit-holders would be met with economic action against the media outlet and its advertisers. 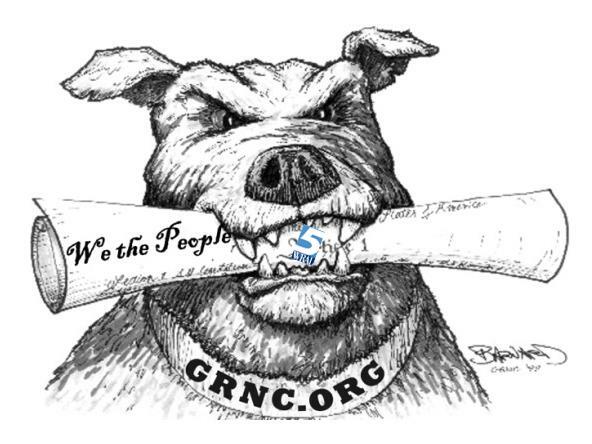 It is now time for you to act: Help GRNC make an example that will leave an impression on media outlets to discourage them from further acts of journalistic irresponsibility! In an apparent attempt to shame gun owners, some media outlets have a history of publishing the names of gun purchasers. But that was many years ago, before the advent of the Internet. Things are now far more reciprocal. So let’s talk a bit about reporter Mark Binker, the apparent engineer of the piece to reveal concealed handgun permit-holders. BE POLITE, DO NOT THREATEN, and CALL OR EMAIL ONLY ONCE! Mark Gerald Binker is an up-and-coming reporter. After making an excellent career move in leaving the Greensboro News & Record just three months ago, he landed a job with WRAL-TV. Mark and his lovely wife, Marla J. Binker, reside at 17XX Chadstone Ct., Raleigh, NC 27615-7403. His cell number is 919-621-0970 and his work email is mbinker@wral.com. 1987-1991, 1997: Interim Reporter, Capital News Service, College Park, MD. 1996-1997: Associate Editor, CD Publications, Silver Springs, MD. 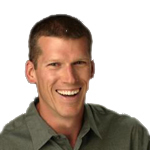 Mr. Binker is also very well educated, having received his Bachelor of Arts in Psychology (1995) at The Johns Hopkins University, Baltimore, MD; and his Masters of Arts in Journalism (1997 University of Maryland, College Park, MD). Happily, Mark is one of the few reporters who is not a registered Democrat. According to the State Board of Elections, he is registered as Unaffiliated, with a gender of male, a race of white, and an ethnicity of “undesignated.” His voter registration number is 000099949361, his registration date is 08/29/2005, and his precinct is 01-42. For better or worse, he is, in fact, eligible to vote. Marla herself seems quite talented, with photo credits to her name, plus what appears to be a fascinating history of her family, from which it appears her maiden name was Smith and her family, perhaps, originally Jewish Russian. She keeps extensive photo albums of the family’s activities, including a Portland vacation, Christmases, birthday parties, pony rides and sailing expeditions in Washington state’s Gig Harbor. But Mark is no slouch either, as evidenced by “adventures of the Binker family in Raleigh, NC.” The Binkers enjoy Disneyland vacations and, apparently, a strong family bond. 2. CONTACT WRAL ADVERTISER CHRIS LEITH DODGE and let them know they are advertising with a media outlet bent on attacking gun rights, and that they should withdraw their advertising immediately. 3. CONTACT WRAL REPORTER MARK BINKER and politely let him know you don’t appreciate the invasion of the privacy of concealed handgun permit-holders. Contact WRAL reporter MARK BINKER at: Aw, heck, you probably saw that in the article above. Unfortunately, your advertising dollars are being used to attack my rights. I’m sorry you have been caught up in this, but one of your major advertising venues, WRAL-TV, has attacked the rights of lawful North Carolina gun owners, subjecting them to criminal predation by releasing nearly complete addresses of concealed handgun permit-holders. As you are probably aware, NC concealed handgun permit-holders are overwhelmingly law-abiding, politically conservative and fiscally responsible, making us your best customers. Although I’m sure you have no intent to attack the right to keep and bear arms, your advertising dollars are being used to do precisely that. As such, I am asking you to contact WRAL and tell them to stop attacking law-abiding citizens and apologize for the attacks they have so far made. If they fail to respond to your entreaties, I further ask that you withdraw all advertising expenditures from the station and let me know so that I can tout your Dodge truck dealership to lawful gun owners statewide as one who supports the rights of lawful Americans. I look forward to patronizing your dealerships as supporters of the United States Constitution. I find it difficult to fathom that you would be so journalistically irresponsible as to publish even partial addresses of concealed handgun permit-holders. Ignoring the fact that this group is overwhelmingly responsible, with a rate of criminal prosecutions just a fraction of the general population; ignoring the fact that permit-holders are threats to no one, making their location irrelevant to your readership, it amazes me that your legal department would allow you to print what may be tantamount to an invitation to burglarize unoccupied homes. Your claims that the information is already public ring hollow: In truth, getting it requires a written inquiry from the State Bureau of Investigation. In truth, you are compromising the personal information of law-abiding North Carolinians not for public benefit, but instead as part of your effort to undermine the right to keep and bear arms. Remove the information from your site immediately and make apologies to the concealed handgun permit-holders you have threatened. If you fail to do so, I will not only stop patronizing your station and website, I will actively work to deny you advertising revenue. Gun Owners to CHEW A LITTLE WRAL BEHIND! As you may be aware WRAL published an article that upset many of our customers and members of our community. The people affected were those like me; strong believers in our US Constitution and our 2nd amendment rights. Somehow I wound up in the crosshairs of this firestorm, and that’s not a problem. Now I can take action. Of the hundreds of advertisers with WRAL, some blogger or bloggers instructed it’s readers to contact me and only me, to let me know that my ad dollars were funding WRAL’s attack on North Carolina gun owners and their rights. I don’t disagree with that sentiment, plus there are many more merchants that spend much more to advertize on WRAL than me so I’m sure these bloggers are not done with their work. As for me and my company, I’m a concerned citizen and strong believer in our constitutional rights. I have made contact with WRAL and I have instructed them to remove anything that bears the Chris Leith name. At this point they have chosen not to pull the article and therefore I have severed ties with them. I really hate that this situation has occurred and I hope my actions will speak louder than words. Respectfully submitted by SilenceDogood2010 this Seventeenth Day of July in the Year of our Lord, Two Thousand Twelve. Obama not on North Carolina’s 2012 Ballot? 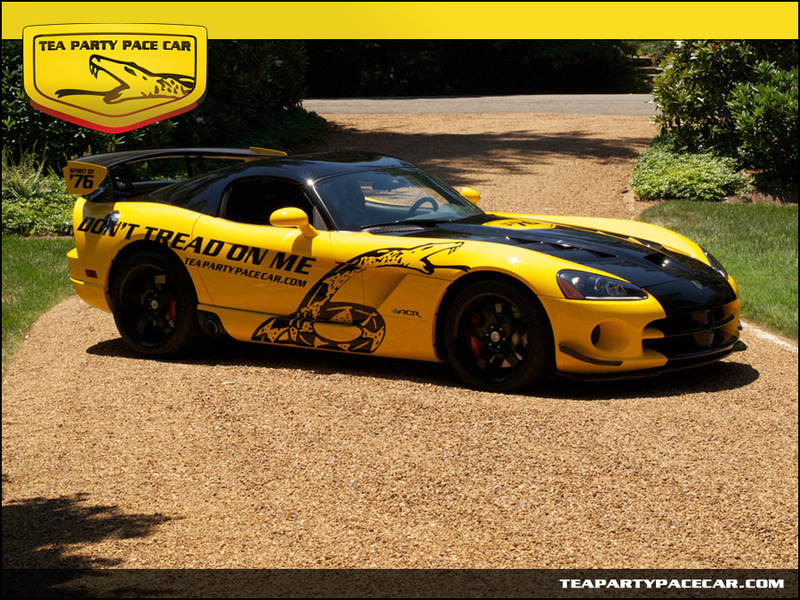 The Gadsden VIPER just might Bite ole BHO. Click to enlarge the image. The Obama campaign has spent most of the past two days spreading thoroughly debunked smears that Mitt Romney “may have committed a felony.” Well, since we’re on the topic of felonies let’s discuss a couple of felonies that Obama himself admitted to committing. “Blow,” in case you weren’t aware by now is another word for Cocaine, and “smack” would be heroine. So Obama snorted cocaine when he could afford it but turned down heroin because he didn’t like his potential dealer. Obama has made no secret of his past cocaine use, even liberal news outlets like the New York Times and the Washington Post have written about it. The President would have been in Hawaii during his high school years, and in the state of Hawaii cocaine possession of any amount is a felony. Obama attended high school at Punahou School, a prep college preparatory school that had dormitories much like a college campus would, and in the above passage he admits smoking pot in those dorm rooms. In Hawaii, it is a felony to possess marijuana within 750 feet of school grounds, parks, or within 10 feet of a parked school vehicle. It is punishable for up to five years in prison and fines up to $10,000. People who live in glass houses should not throw rocks. By floating baseless accusations against Mitt Romney, President Obama has re-opened the book on his own past. His admissions of illegal activity deserve to be scrutinized. Now, since here in NC it is illegal for a Felon to run for office, I guess Barack Hussein Obama will not appear on our ballots. Respectfully submitted by SilenceDogood2010 this Sixteenth Day of July in the Year of our Lord, Two Thousand Twelve. Respectfully submitted by SilenceDogood2010 this Fifteenth Day of July in the Year of our Lord, Two Thousand Twelve.